I'm gonna go out on a limb here and guess that most of my readers are old enough to get that joke. Cary Grant movies never go out of style, do they? Anyhow, between my gluten free experiments, and stockpiling of food in case of who knows what, rice seems to have taken on a much more prominent role in my life than it used to have. I've long been a lover of brown rice, and when I decided to try to cut out gluten for a while to see if it helped my digestive troubles, good old brown rice was one of the first things I turned to. Similarly, when CatMan and I first started talking about stockpiling some food supplies, our first thought was to check the local chef's supply store to see what sort of a price we could get on an enormous bag of brown rice. Now, before we begin on this little rice odyssey, perhaps we need a little lesson in rice anatomy. Basically, like any other grain, rice has an inedible outer hull, under which is a layer known as the bran. The job of the bran is to protect the germ, which is nestled within the bran layer. 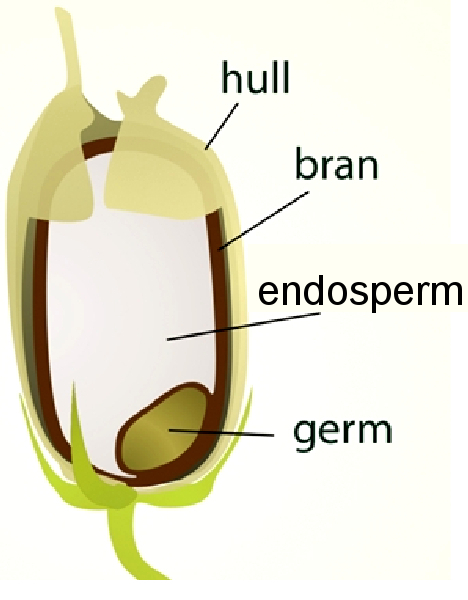 The germ is essentially the "embryo" of the grain - or the part that germinates (hence the name) into a new plant. The inner part (the white part) is called the endosperm, which provides energy (carbohydrates) for the germ to use as it grows. So, brown rice is rice which has had only the hull removed, leaving both the bran and the germ intact. 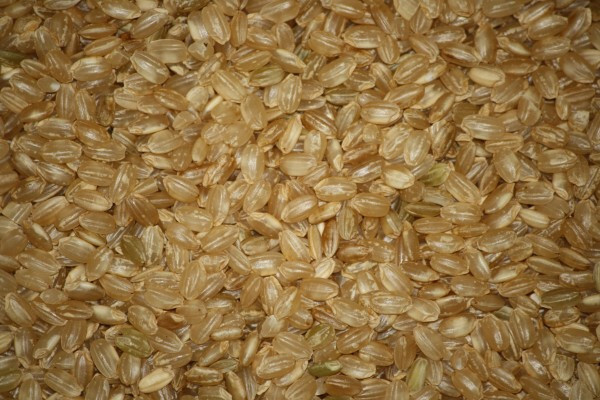 It provides many more nutrients than white rice, which has had both the germ and the bran removed. 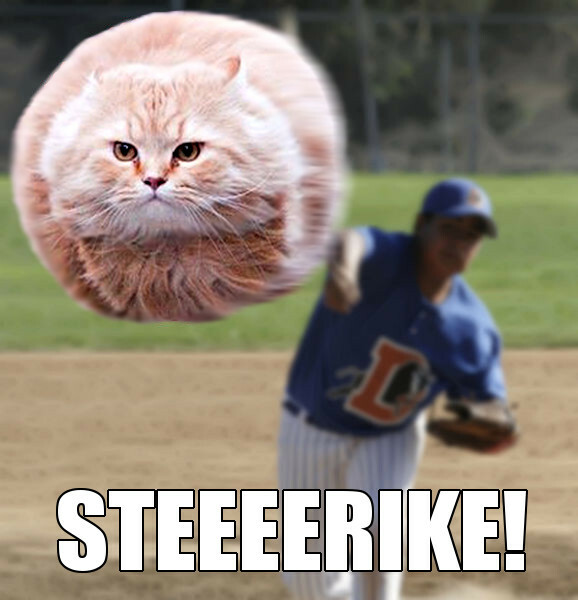 But here's the deal. The super nutritious germ and bran are also super prone to spoiling. Along with lots of nutrients, they also contain oils, which go rancid after a while. The long and short of it is (ha ha... get it? long & short like long & short grain rice?) Well anyhow, brown rice only has a shelf life of about 6 months to a year, depending on how you store it. Soooo... there went the plan of stocking up on brown rice for the apocalypse! White rice, on the other hand, has a significantly longer shelf life. 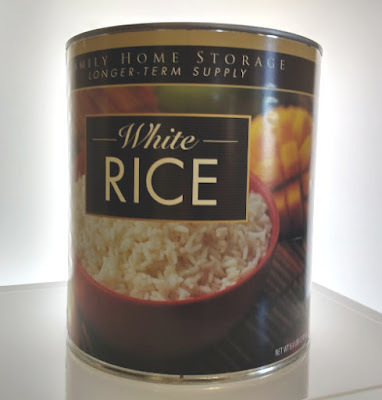 I even bought some from the Mormon church (which has a long tradition of self-reliance and preparedness) that is stored in giant sealed cans and has a shelf life of 30 years. Now, that's some old rice! OK... so now on to the arsenic part. Not sure if you've heard the hullabaloo or not, but the news has recently been filed with reports of arsenic in rice. It's not that there are little old ladies wandering through the store aisles lacing rice with arsenic or anything like that, it's that rice absorbs arsenic from the soil in which it grows. Basically, arsenic is easily soluble in water, and since rice grows in wet swamps or paddies, it tends to absorb more environmental arsenic than other grains do. And, the rice seems to concentrate the arsenic in the bran and the germ, meaning that brown rice contains a much higher concentration of the stuff than does white rice. Another strike against my beloved brown rice! So, where does this leave us? Umm.... that's a little bit unclear. First of all, arsenic levels in white rice can be reduced significantly (up to 90% or so) by soaking, rinsing, and cooking the rice in lots of water and draining off the excess rather than measuring the water proportionally and allowing it all to absorb. Unfortunately, the same does not hold true for brown rice since the arsenic is bound up in the bran and germ. Secondly, arsenic levels vary tremendously with both the type of rice, and the location in which it was grown. Aromatic rice like Jasmine and Basmati tend to absorb less arsenic. And rice grown in the US south tends to have higher levels because the soils there tend to have much higher concentrations of arsenic. So I'm not entirely sure where that leaves me. I've been experimenting with different varieties of white rice. I've never actually cooked white rice before, so this is a new and exciting culinary adventure. I've become a huge fan of Jasmine rice - the smell is just wonderful! 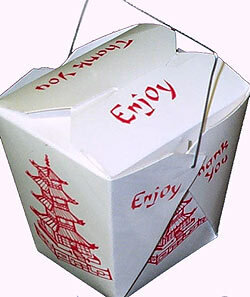 I think it must be that variety that's used in Chinese cuisine, because it smells just like a Chinese restaurant! And, if you soak it overnight, it only takes about 10 minutes to cook! Amazing! I know it's not as nutritious as my beloved brown rice, but I do feel good knowing that it's not poisoning me. My general conclusion with this entire topic is that when it comes to rice, the more nutritious it is, the more arsenic it contains. And I'm not really sure what that means in terms of diet and food storage. For the moment, my plan is to experiment with a variety of kinds of rice, stocking up only on the white, and parboiled. But it seems clear to me, that in order to ensure that one's nutritional needs are being met without poisoning oneself, it's a good idea not to rely on rice alone when it comes to consumption of grains. So that's my little rice odyssey. Are you a rice fan? Does the news about arsenic in rice concern you? I'd love to hear your thoughts on this whole topic! I've read about the rice dilemma and decided that I'm too old to care, I'll just cook my rice and take my chances. Sounds like a plan! I don't think the arsenic is a big concern unless rice is a daily staple in your diet. Brown rice is my favorite, also, but we've been expanding to jasmine and basamati more for flavor variety. However, I don't think we eat enough rice to be overly concerned with the amount of arsenic in it. I'm focusing more on fiber which brown rice has more of. I think inadequate fiber intake could be more harmful for me than small amounts of arsenic. I agree, you'd probably have to be eating a lot of rice for it to be problematic. And you make a good point about fiber. While I do like the taste and smell of the jasmine rice, I must admit that I miss the chewy heartiness of brown rice. The arsenic news concerns me, but I'm also keeping my head firmly in the sand about it. I get most of my fiber from grain since I don't eat enough fruits and veggies, so I'm disinclined to switch back to white rice from brown rice. However, I've lately been trying to make fried rice, and I like what I make, but it's not the same as my favorite from restaurants. Adding spices (garlic, onion, ginger, maybe fivespice) has helped some. But now you're making me want to try Jasmine rice for that! Oats are gluten free. I'm a big fan of oatmeal, but I haven't really tried oat flour yet. I should probably go to the doctor and actually get tested for celiac, rather than just guessing at it. And I'll have to try making fried rice with my leftovers (I made a pineapple sweet chili chicken thing tonight and ended up with way more rice than I needed.) I have never had problems getting it to taste right though - and all I ever put in it is eggs, mixed frozen veggies, rice and soy sauce. But perhaps I'm just not very picky about my fried rice! Good luck with it! Be careful with this Cat, oats are only gluten free if they've been grown in a field that hasn't had wheat in the past 5 (I think) years. Make sure to get some that actually say they're gluten free. My mam's coeliac so we have plenty of experience in this! Yikes! That's good to know. I thought all oats were created equal. I have now gotten jasmine brown rice and it smells amazing but tastes just the same as regular brown rice to me. Ha ha! I'm actually going to keep getting it, though, because it has more protein and fiber than the long-grain brown rice I used to get (and I can't find the short-grain brown rice anymore that had just as much fiber as jasmine brown rice). One of the dietary things I regret in raising my kids is not starting them on brown rice. I haven't tried it in awhile, so maybe I should again and see if they like it ... although now I can feed my family white rice and congratulate myself for not poisoning them with arsenic. Ha. We eat a variety of grains, so I guess I'm not too worried about the arsenic thing in rice, but I did laugh at your Arsenic and Old Rice joke. Ugh, this is why nutrition drives me crazy, there's always some new theory/warning to consider. I've seen headlines about arsenic and rice, but admittedly not dug into the details. I've been eating more brown rice lately because I'm trying to eat more real food and one of the tenets of eating real food is to eat whole grains. Is para oiled brown rice still as bad? Olive been eating minute brown rice because you can nuke it in like 7-9 minutes and the consistency turns out better than when I boil rice. I've also been trying quinoa for the first time and like it, so maybe I'll just eat more of that. Although I do love basmati rice with Indian food. Don't even get me started on trying to find tortillas and pita bread with whole grains and five ingredients or less (another real food thing). I feel like the fact that I'm not existing on junk food like I did in college should be good enough darnit! I know, right? Everything will kill you!!! I'm not really sure about parboiled rice or instant brown rice. I mean if it's boiled in the hull so it gets the nutrition from the bran and germ, it would, in theory also get the arsenic. But if rinsing away the arsenic also rinses away the nutrition... well I dunno. Then as Live & Learn mentioned above, there's the whole issue of fiber. OY! At the moment I'm with you on quinoa. Seems to be the best of many worlds - plus it's higher in protein than other grains. I think it's technically not even a grain, but some sort of murky part seed part grain sort of a deal. If you don't have issues with gluten you could try bulgur wheat - it's whole grain but still cooks up really fast. I am big fan of Arsenic and Old Lace and also brown rice. I wasn't aware of the arsenic in brown rice but I won't stop eating it just because of that. I will, however, get in the habit of rinsing it before cooking. Since I eat brown rice often but not every day I'm not going to worry too much. I also like barley, oats, bulgur and grits. I haven't really warmed up to quinoa yet, though I do keep trying. 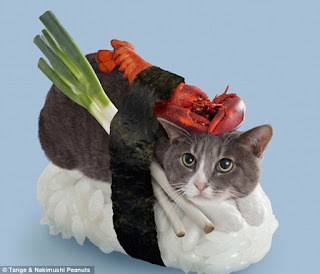 Good luck on your rice quest, and I didn't know about the sushi cats and don't understand it, but there's a lot about cats I don't understand. The sushi cat thing seems just plain weird to me. I keep thinking the images must be photoshopped because I can't really imagine most cats I know tolerating that sort of thing! Anyhow, I'm not gonna give up on brown rice altogether either - but I will experiment with both soaking and rinsing it. I heard the arsenic stories as well. When I switched to vegetarian foods one staple in our home was chili. I found that the kids didn't miss the meat as long as I replaced it with rice. It was filling and delicious. Anyway, after reading about the arsenic I decided to eat more quinoa than rice. Quinoa has a fraction of the calories rice has which is another plus, but being a small "grain" it doesn't exactly replace rice. Here's some good news on storing rice. I buy in bulk and store the vast majority in the freezer, same as I do with nuts and seeds to keep them from going rancid. That won't help if you are planning to put up food for a possible grid failure. I also have a food saver which will extend the life of staples, I don't know for sure how long and of course there would be the initial investment of the food saver machine. Wow! Thanks for the link on dry canning. I've been all over the web, and the information on storing white rice is all over the place. Some folks say it will store indefinitely in any airtight container without any special prep. Others say you need to use oxygen absorbers - which are basically the same thing as the hand warmers I use for winter bike rides - they react with oxygen in the air creating heat, in the process, they also remove the oxygen from the surrounding air. For the moment I'm going with the freeze for 2 weeks method. Basically you stick the rice (still in it's original bag) in the freezer for 2 weeks to kill any bugs or eggs, then you take it out and let the bag sit for a day or two to get rid of any possible liquid condensation. Then you store it in glass jars in a cool dark place. The stuff I bought from the Mormons (which was a phenomenal good deal, BTW - cheaper than I could find the foods locally, plus already sealed for 30 year storage and they only charged me $3 for shipping on 7 CASES of food!) Anyhow, it's all sealed in big coffee cans - I'm not sure if it's done using the dry canning technique you mentioned, or if they use oxygen absorbers. Either way, I figure they probably know what they're doing, and they're obviously not in it for financial gain! Anyhow, I'm gonna go check out that link. I actually found a good deal on canning jars at Walmart. I know they're evil, but I got 2 dozen quart sized Ball canning jars (with lids) for about $20! I think what I really want to explore is whether or not you can store grains like quinoa & milled for the long term, or if they have too many oils and will go rancid. For the moment I'm storing brown rice in the fridge and freezer. Oh, and in terms of vegetarian chili. Not sure if this would work for you because it's pretty high in protein, and/or how you'd feel about using a "manufactured" product, but TVP (textured vegetable protein) works wonderfully in vegetarian chili. It's basically just soy that's had the fat removed so it doesn't go rancid - they form it into little bits, sorta like bacon bits. If you get the unflavored variety it pretty much takes on the flavor of anything around it, and has a nice meaty texture. It works well in any dish where it can absorb flavors from the stuff around it, though by itself it would be sorta like eating Styrofoam. Being from South America, I am used to eating white rice and dried brown beans pretty much every day -- a wonderful combination nutrition wise, as it contains all essential aminoacids (great for vegetarians :) Now I wonder if my local Mormon church has similar long term storage supplies... I will definitely check it out. Thanks for the tip! Very interesting. I didn't realize that white rice also contained the essential amino acids, I thought it had to be brown rice. Well anyhow, here's a link to the site where I bought the Mormon food. But... now I see that there's another LDS site with completely different stuff at this address. The second one seems to have more specialty items, and less of the basic beans and rice sort of stuff. I'd have to look closer at the prices to know if it's as good of a deal as the one that I ordered from. And I have no idea if they ship internationally or what, but maybe there's a link somewhere to international sites. As far as I know white rice is lower on fiber and vitamins, but pretty similar to brown in terms of amino acids. However both are short in lysine, that's why they're a good combo with beans which are rich on it. But a good variety of grains is always best, as you point out, specially if they are your main protein source. Bummer that the links don't help you any. But thanks for the info on the amino acids in white rice. That actually makes me feel much better about eating it! Good luck on your gluten free journey, but I'll urge you to actually go and get tested because I had many symptoms disappear when I ate a gf diet, but it turns out I have a very different, very weird condition. My mam however, is coeliac, so I know the struggles you're dealing with. Holy Moly! I think your food intolerance list might actually be weirder than mine is, and that's an impressive feat! I have plans to get tested soon. My step-mom, who is an allergist thinks it's possible that I have celiac because I'm allergic to so many things, and apparently this is a symptom - damage to the gut allows stuff to flow through creating allergic reactions. Of course, it's also a symptom of systemic yeast infection, which I actually think makes more sense. I suppose the test will tell me something! Anyhow, good luck with all those dietary restrictions. You must have as much fun eating out as I do (sarcasm intended)! 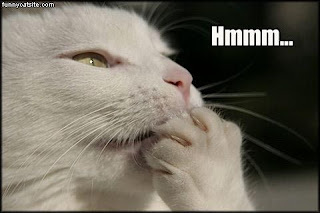 I'd never heard about the white rice + arsenic thing! It does freak me a little because white rice (usually basmati) is a real staple in our house. More happily...it's great to know there is such a long shelf life if needed. I thought of you today because all of a sudden I can so absolutely relate to your fears that the end of the world is nigh. It is quite nerve-wracking now to watch the progression of events on Planet Trump. Well, at least the good news is that basmati has lower arsenic levels than "regular" white rice, and rinsing it removes a lot of what's there. And the Trumpocalypse... Oy! Seriously, every day is like a new adventure in destruction. I just hope we all live through it... and I'm not entirely sure I'm being sarcastic! I had not heard about the arsenic in rice problem. I too like brown rice but my husband only likes white rice. 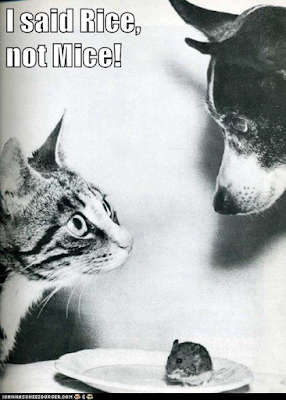 He does not like basmati or jasmine rice either, I used to cook with both types a lot. And of course you are right Cary Grant movies never go out in style. I still occasionally enjoy the Bachelor and the Bobby Soxer and The Philadelphia Story. I've been enjoying Jasmine rice with stir fried veggies, but I have to say... the lightness of it does sorta throw me for a loop! It sorta feels like eating air! And The Philadelphia Story has got to be one of my all time favorites. I love the little girl, and now I fear her song will be stuck in my head all day: "Lydia, oh Lydia, say have you seen Lydia? Lydia the tattooed lady!" I got the arsenic and old rice reference. I am that old. Uncle Ben's PARBOILED brown rice has 80% of the nutrients and stores almost as long as white rice. Eating white rice is like eating sugar. Most of the nutrients are gone in white rice. I worried about the arsenic thing for a day or two and decided to use a cup more of water, and then drain the rice. I stored 36 pounds of Uncle Ben's Parboiled Brown Rice for about five years in a room that was an oven in the summer and freezer in the winter. Then, I put it all in the freezer and it did not spoil for all the years I did not store it correctly. I think your approach is quite sensible. And it is comforting to know that it's hard to mess up storing parboiled rice. Hopefully if I ever need it, my supply will still be good! 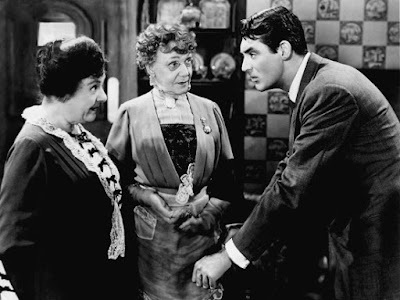 Arsenic and Old Lace is one of my all-time favorite movies, ever! I don't really trust anyone who doesn't get a Cary Grant reference. I'm from the south, and my dad sees rice as its own, incredibly important, food group, so of course I love rice. Hubby doesn't love it as much as I do, so I don't cook it quite as often as I'd like, but it still makes a very frequent appearance on our menu. I was vaguely aware of the arsenic issue before reading this post, but largely dismissed it. My, most likely terribly flawed reasoning has been that if rice were that toxic my father would most certainly be dead by now, and I probably would. I also have some vague notion that arsenic might be one of the poisons you can gradually build up a resistance to, so I have the idea that years of eating rice has done that. It works in my mind. All of that being said, I LOVE jasmine rice. It makes the whole house smell great! It's great with curry dishes, if you haven't tried that yet. I typically buy it in bulk at Sam's Club. They'll give you the empty tubs that the icing comes in for their bakery if you ask, so I have a few of those that we store bulk rice and flour in. We've been doing that for a few years now, and it has worked well. I'm interested to read your take on quinoa when you get around to that post. I've never prepared it, but have it when others have made it. I liked it, but it intimidates me a little bit. Quinoa is actually really easy to cook. Just 2 parts water, one part grain. You boil it for about 10 minutes and then turn it off and let it absorb all of the remaining water. The only trick is that it has a coating or something that's bitter, so you have to rinse it thoroughly before you cook it. But I really like the taste.